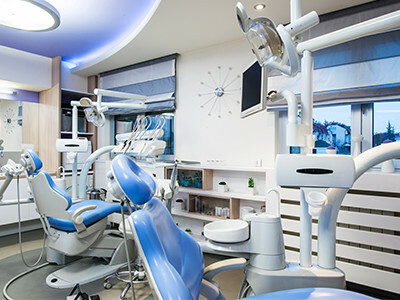 When three established dentists decided to join forces to open a new dental practice location in Midtown Manhattan, they would be outfitting the new space from scratch. They needed capital for every aspect of the office — office furniture and equipment, lighting and cabinetry, state-of-the-art x-ray machines and dental equipment, and more. Wanting to take advantage of low interest rates, the practice first considered a traditional loan. But this financing option would not provide the personalized attention and service they needed. Key components of their ideal financing package included 100% financing and options to optimize ownership, create beneficial tax treatment, and/or further reduce cash outflows. The client was able to determine the optimal structure for them based on consultation with First American. The practice’s CPA knew of their dilemma and spoke with his representative at City National Bank (CNB). The banker recommended First American, knowing they could offer a competitive, hassle-free financing solution and were well-respected for their vendor and project management services. Based on the recommendation, the CPA connected his client with First American — confident they could collaborate to achieve the practice’s financial goals. After a thorough review, First American recommended a five-year, dollar buyout lease of $600,000, which would allow the office to acquire all of the equipment they needed. The lease package provided financing at an attractive rate, with predictable operating expense payments for easy cash flow management, and a known cost to purchase the assets at the lease’s end. As part of the package, First American also handled all vendor management, including deliveries, progress payments and invoicing. This value-added service would free the dentists to focus on their patients and the other critical tasks for operating their practice. The dental practice is now up and running and already considering expanding its business. First American’s finance package was instrumental in turning the dentists’ big plans into big realities.